Fixed star Procyon, Alpha Canis Minoris, is a bright white star with a faint yellow tinge in the body of the Lesser Dog, Canis Minor Constellation. 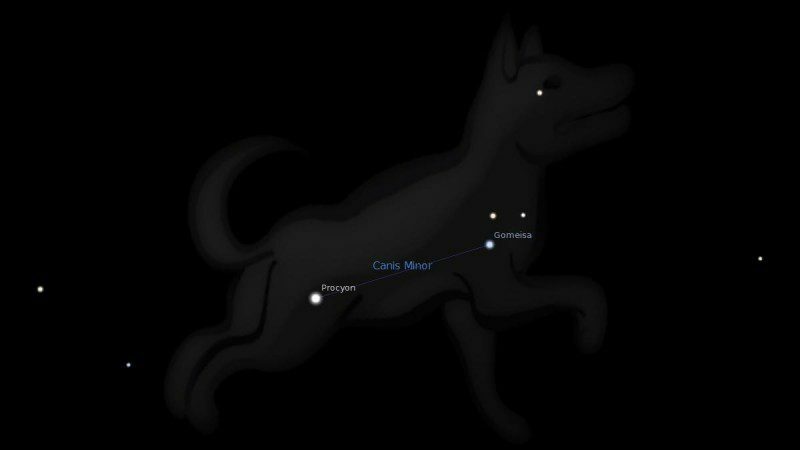 The traditional name Procyon comes from the Greek word προκύον (prokyon), which means before the dog, since it precedes the “Dog Star” Sirius as it travels across the sky due to Earth’s rotation. 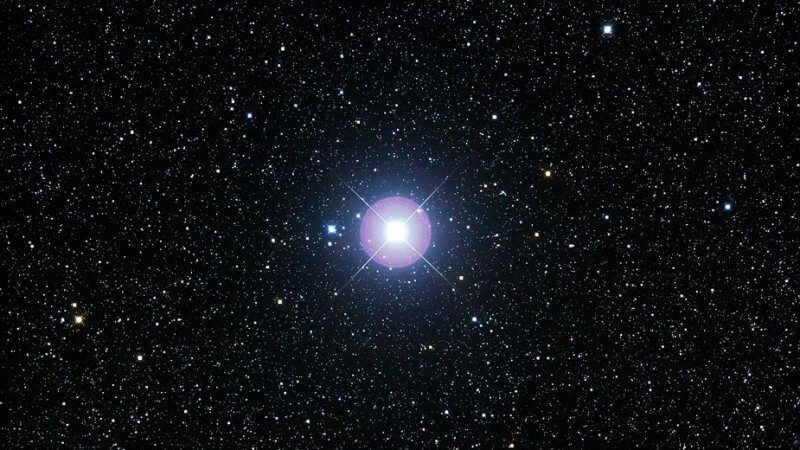 Fixed star Procyon is of the nature of Mercury and Mars. It gives activity, violence, sudden and violent malevolence, sudden preferment by exertion, elevation ending in disaster, danger of dog bites and hydrophobia, and makes its natives petulant, saucy, giddy, weak-natured, timid, unfortunate, proud, easily angered, careless and violent. Two cases are on record of death or injury by dog bite in which Procyon and Sirius are involved. 3. Fixed Stars and Constellations in Astrology, Vivian E. Robson, 1923, p.191, 235. 4. Fixed Stars and Their Interpretation, Elsbeth Ebertin, 1928, p.43. 6. Manilius, Astronomica, 1st century AD, book 5, 317. 5. The Fixed Star Health and Behavior Imbalance, Ted George and Barbara Parker, 1985, p.55. as I am an aries with cancer rising and moon in cancer, procyon rules my entire life. Hi Judith. The only one from memory is Alcyone in the Pleiades.